Fits between your blast helmet and breathing air filter ...... allowing for enhanced operator health and safety PPE compliance. The antistatic inner layer of this hose is a guarantee of safety if used in hazardous environments (shot blast helmets, paint spraying booth, etc...). 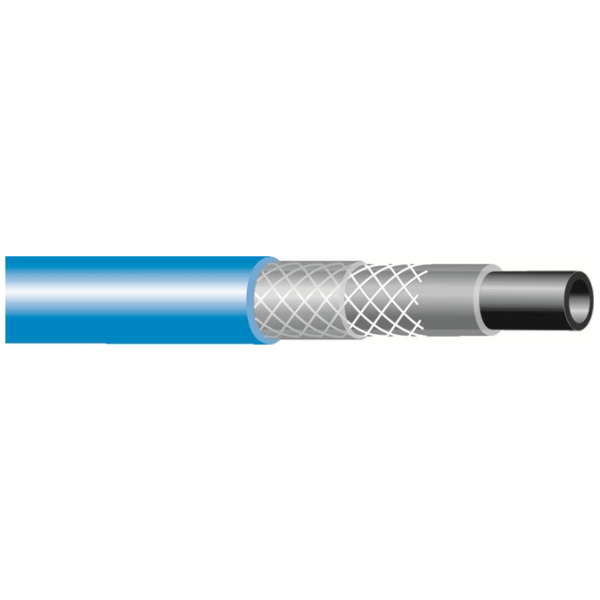 This capability is permament, obtained by the addition of carbon directly into the hose material. 20 metres, complete with 1/4" bsp F swivel ends, to fit directly between your free standing helmet filter and helmet. Max Pressure: 15 bar with a 4:1 safety factor.